I’ve been digging through some old notes this week and chanced upon a file I thought I’d lost. 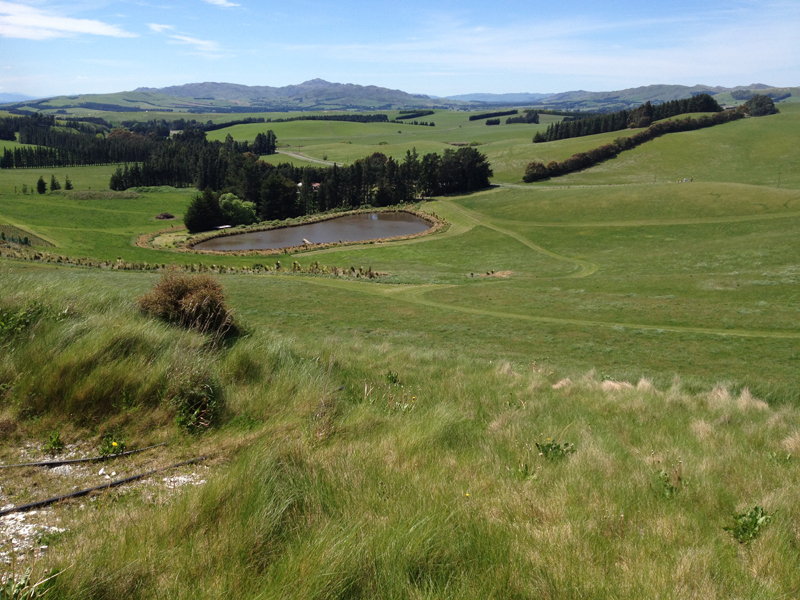 A file of tasting notes actually, compiled during a very brief look at some great wines during a very brief trip to NZ South Island hotspot Waipara last year. Whilst these notes are hardly comprehensive, and were compiled rather hastily (from a blind tasting), what they do mention is a few of the goodies that were uncovered during my trip. A memory jolt, if you may, of the fragrant and textural off-dry/worked/interesting Rieslings and aromatics, of the long and wild Chardonnays and the minerally, yet powerful, Pinot Noirs. To be completely honest I spent more time consuming and thinking about these wines than actually taking notes, spending a few days kicking the – limestone rich – dirt and looking at close planted young Pinot vineyards on mid slopes. I even had a curious lamb liver based dessert (matched to the glorious 09 Pegasus Bay Pinot Noir) just to smack my senses in the face. All of which pointed to the fact that this is one seriously exciting wine region. There is variability, there are oddities, but gee it is exciting. (These notes were all written blind. Extra bits in italics I’ve added for context. Scores are lowish – they will be much higher if you drink them the proper way with food and friends). Sourced from a certified organic vineyard planted on clay soils. A dry style, this was whole bunch pressed, fermented wild and spent 6 months in old oak. Current release methinks. Off-dry, 9.5% alcohol and 56g/L residual. Super ripe yet looks more late picked than botrytised. A blend of Gewurtz, Riesling, Pinot Gris and Muscat, all picked late and fermented dry. 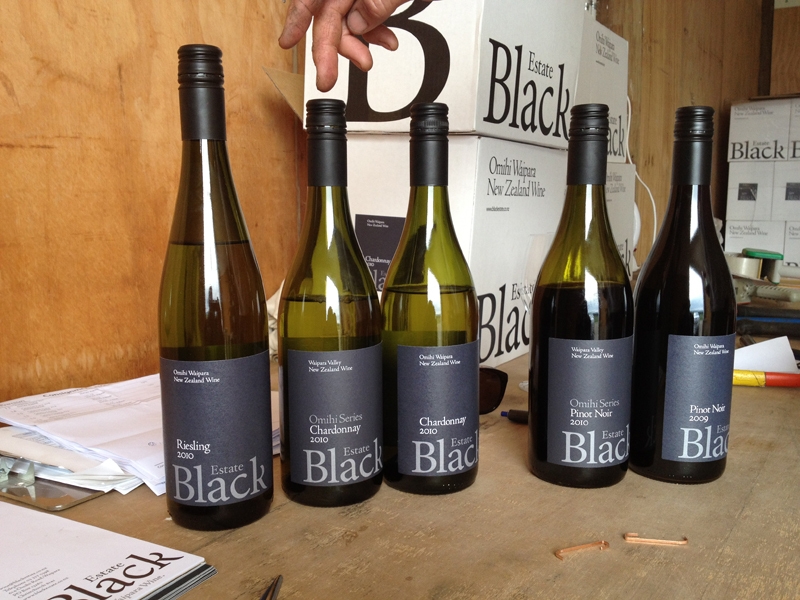 The tenth release of the Black Estate Chardonnay, this is very representative of the Black Estate style. I actually snuck in a look at the Black Estate vineyard and they are planting more Pinot Noir and Chardonnay on their ideally situated vineyard as we speak. What is so intriguing about this wine is that, despite its weight, it actually holds up rather well over the years (I had a squizz at some older wines whilst I was there). Always rich, always bony always creamy and full. I like ’em. Barrel fermented. One third new oak. Interesting that this is the current release. Drawn from the Rayner vineyard this saw 20 days of skin contact and 14 months in 1-6yr old oak. 8-10yr old vines. They make quite a big deal about barrels in the notes about this wine, including noting that 2 Laurent ‘magic’ barrels (championed by Torbreck to justify the price of the Laird) were used in the production. Stylish wine regardless. Sourced from a close planted vineyard in the Omihi Hills. Spent 11 months in oak. 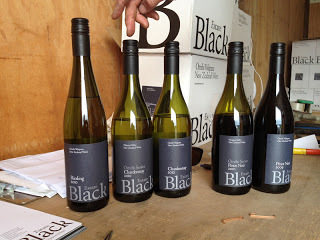 I think the 10’s are better than the 09s for Black Estate though I much preferred a second look at this wine. That limestone buzz goes all through the wines. I retried this at dinner later in the night and liked it again. Sourced from an organic vineyard with one of the more difficult to navigate wine websites I’ve seen. The wine was really good though. Soured from the Omihi vineyard and built slightly more fleshy than the estate wine. Grown at 3 sites around Waipara this is nicely approachable in context. Hmm. Not too good if you rate Fush'n'Chups MSB 90 points. That's $3 wine. Explain yourself AG! Ha! Easy. I saw that wine blind as a pre release and thought it was fresh and varietal. I haven't actually tasted it since.